The Sacramento City College Davis Center opened on the UC Davis campus in 2012. The report says California faces an urgent need to maintain and expand its college campuses to make room for more students and upgrade aging buildings. “We’ve got to find a new way to address the growing student population in higher education in California,” said Patrick J. Lenz, the author of the report. He is a veteran higher education finance director who has led budget and fiscal planning for all three systems of higher education in the state. 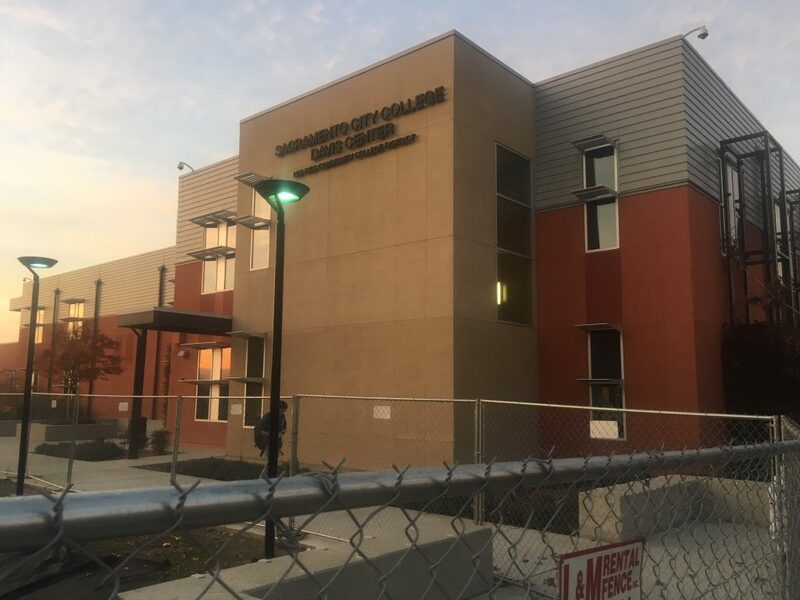 Between 2017-18 and 2021-22, the California Community Colleges estimates that it will need to spend $20.1 billion in building costs in part to make room for an additional 145,000 students expected to enroll during that period. The California State University anticipates $12.5 billion in capital costs for “facilities improvements and capital improvements” over the same period. The University of California reports needing roughly $14.6 billion between 2015-16 and 2021-22 to update its buildings, in part to make space for 10,000 additional undergraduates. Lenz said he hopes the report will spur the higher education leaders to take seriously the concept of joint spending and usage to avoid duplicate structures. That could, he said, result in major cost savings. He cited UCLA as an example of a campus that has “no ability really to expand.” But nearby community colleges have enough available land to construct new buildings for laboratories and classrooms that could then be occupied by both campuses, he said. That would be ideal for commuter students who don’t live on UCLA’s campus anyway. It’s a strategy that could address some of the building needs of both campuses by financing just one structure. There’s already a working model in the state. 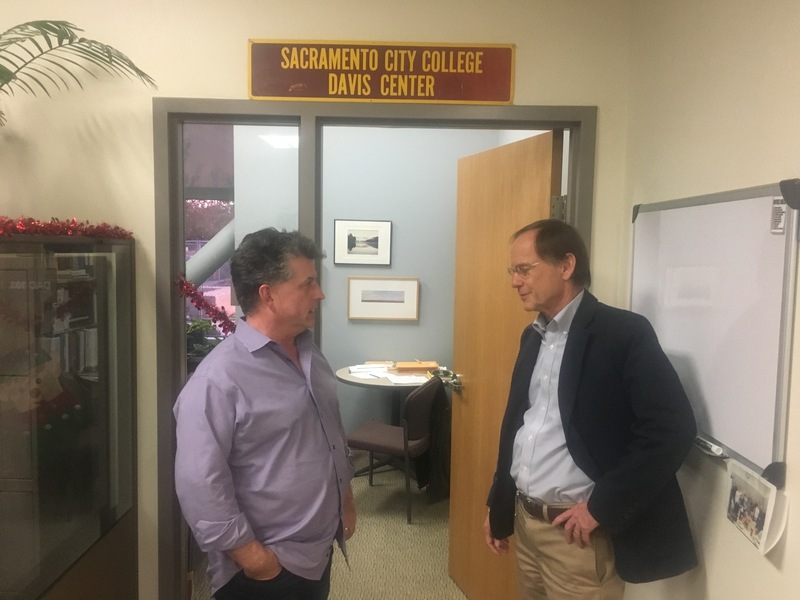 The report notes that UC Davis and the Los Rios Community College District joined forces in 2012 to open a new community college facility on the UC campus, called the Davis Center. The arrangement has led to more community college students being integrated into the social life of a UC campus, according the report. 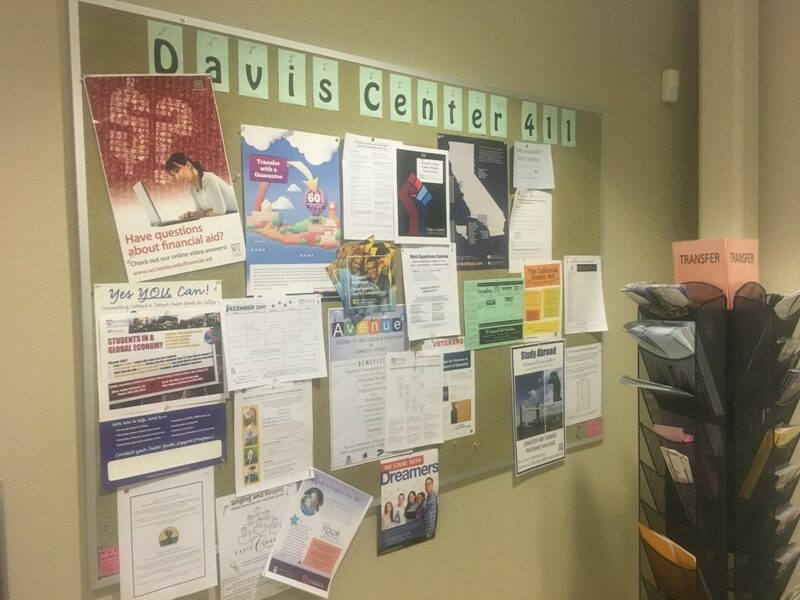 Don Palm, the dean of the Davis Center, said that UC Davis also rents out classrooms in the center when it is short of classroom space at its main campus. In past years, course schedules at the center have also allowed the same classes to be available for both UC and community college students, such as those in foreign-language instruction in Farsi, Tagalog and Vietnamese. Lenz said new ideas are needed because there is simply a lack of funding to cover the projected costs. That’s because the responsibility for financing new construction and maintenance of current buildings has largely shifted from the state-level funding to individual campuses. As a result, these capital costs must compete with the postsecondary systems’ other funding needs for students, faculty and retirement costs. Lenz explained that a half-century ago, the state’s General Fund had enough money to provide the revenue necessary for construction and maintenance on a “pay as you go” basis. Over time, raising the money for capital costs has shifted to borrowing by issuing bonds — mainly ones approved by the public through ballot measures, as well as through lease-revenue bonds in which structures financed by these bonds would be leased by the state to the colleges and universities. But that route for borrowing largely ended following a set of laws that the state Legislature passed in passed 2013 and 2014 (see “Governor’s Proposal”). The community colleges face less of a challenge, Lenz said, in part because voters in 2016 passed Prop. 51 that authorized $2 billion in bonds for community college construction and facility needs. Local community college districts can also issue bonds, giving them access to taxpayer-supported revenue to address their building and maintenance demands. Another cost savings strategy noted by Lenz include public-private partnerships of various kinds. In 2003, for example, San Jose State and the city of San Jose joined forces to co-finance the Dr. Martin Luther King, Jr. Library on university-owned land in downtown San Jose. The university, which contributed $101 million of the initial $171 million costs, was allocated two-thirds of the library’s space while the city got to use the remaining third. To make better use of existing buildings, campuses could also expand their year-round course offerings. In 2016, for example, several UC campuses increased summer enrollment by offering students different financial aid and housing incentives. Community colleges have been aggressively adding courses during their summer and winter periods. Between 1997 and 2016, the average number of instructional days at community colleges increased from 271 to 294 days, the report said. Increasing online courses could also relieve pressures for more building and classroom space. 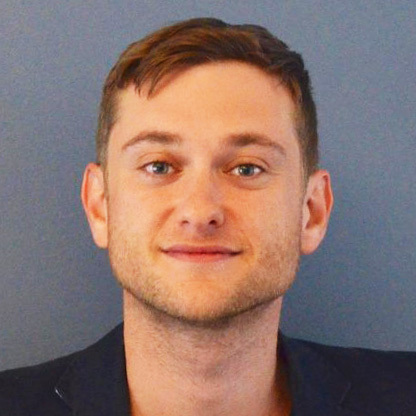 But Lenz said he doesn’t think online education is proceeding fast enough currently to make much of a dent on construction pressures on most campuses. Everything in California costs a lot (now)! When I see an article like this, I see the point of view but when you look at someone like myself – a humble SF carpenter 🙂 – and when I look of my costs and expenses and whatnot, then that is how it all adds up to a big construction bill.